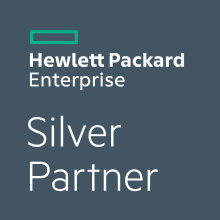 Today, Recarta are pleased to announce the news they have achieved ‘Silver’ partner status with HP Enterprise. The news comes after a number of Recarta technical consultants have completed HP’s highly rigorous certification process. The newly found status enables Recarta to offer preferential rates to their customers under the assurance that their implementation and support teams carry the relevant product experience and qualifications. Sales director, Toby Harris comments “Our HPE Silver Status underpins our commitment to HP over the last 24 months. We have undertaken a number of installations and upgrades of HPE hardware during that time, which has given us leading edge insight on the possibilities that the HPE portfolio brings”. Harris continues “Our clients support and maintain a range of legacy hardware, including HP. Our HPE silver partnership status gives our clients the assurance we can advise & support on all aspects of HP’s legacy and current portfolio”. The news of Recarta’s HPE silver partner status further extends their ability to offer a market view of server hardware and infrastructure. Recarta already retain partnerships with key server vendors such as IBM, Lenovo, Dell/EMC, Citrix, Microsoft and Cisco. The addition of HPE as a silver partner enforces Recarta’s position as one of the UK’s leading IT infrastructure consultancies. If you would like to speak to a certified HPE engineer about supporting your legacy HPE hardware or discussing an impatial server refresh please contact us on 0844 800 7821.